Northern Ireland international Craig Cathcart has signed a new four-year deal with Premier League Watford. 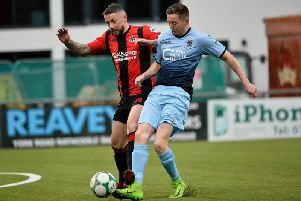 It means the Newtownabbey native is contracted to the Hornets until June 2021. The 28-year-old, who cut his teeth as a youngster for Greenisland Boys, joined the Vicarage Road club in 2014 and also featured in a loan spell. A hernia operation limited his game time to just 15 appearances last season. Cathcart, who started his career at Manchester United, signed for Watford from Blackpool in three years ago.